When it comes to exercise, there’s a very common assumption that more is better: the more intense a workout is, the more you must be getting from it. After all, have you really accomplished anything if you don’t nearly black out setting a new PR in the squat rack and then almost throw up doing 2-minute AMRAP burpees in a weighted vest? The most effective exercise is the one you’ll do consistently. Many people in this world find 2-minute AMRAP burpees to be nothing short of cruel and unusual; if that’s what “exercise” means to them, they won’t be doing it for very long. A good workout plan is one that puts you at the lowest risk for injury. If you’re constantly driving yourself to the absolute extreme of what your body can take in every single workout, you’re at a very high risk of injury because you’re always pushing the limit of what you can do. You don’t get stronger in the gym. You get stronger when you’re recovering. If you’re doing extreme intensity (as hard as you can go) and extreme frequency (every day or only 1-2 rest days per week), you’re not recovering enough and eventually it’s going to make you weaker, not stronger. 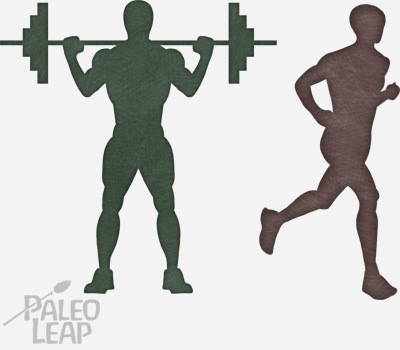 Not everyone can do burpees and barbell squats even if they wanted to. Does that mean they should just give up on the whole idea of exercise and invest in a very comfortable couch? Heavy squats and half-marathons are great, but they’re not the only workouts worth doing! There are all kinds of reasons why walking (and other forms of gentle exercise) might be the right choice for all kinds of people. For the hard-charging fitness lovers, walking is a way to break up intense workouts with active recovery. Getting in motion helps your body recover by increasing blood and lymphatic flow around muscle tissue, but a gentle movement like walking is easy on any aching joints or pulled muscles, and it won’t make a problem worse. For people who don’t consider the gym their second home, walking is also an ideal “starter exercise.” You don’t need any special equipment, or even a gym membership; you can do it anywhere, and you can do it at almost any weight, age, or state of health. If you hate “exercising,” walking also makes it easy to sneak in activity while you’re doing other things. “Walking” doesn’t have to mean “walking laps around a track.” It might mean taking a walking tour of your city, going for a walk with a friend to talk things over for a while, taking a nature walk to see some local plants and animals, or exploring parts of your neighborhood you’ve never seen before. Walking provides the same metabolic, anti-inflammatory, and hormonal benefits that you’d expect from any other kind of exercise, and several studies have found it helpful overall for managing all kinds of chronic diseases. In this study, longer periods of gentle activity (standing and walking) was even better for metabolic health than shorter periods of intense activity. In this study, walking helped improve the metabolic response to a meal even in obese teenagers who were fed a high-sugar diet. Now imagine what it could do if you ate a healthy meal! 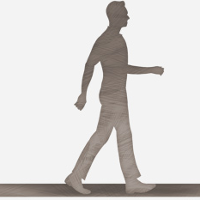 In this study, 30 minutes of walking after a meal improved blood sugar control in diabetics. In this study, 30 minutes of daily walking improved blood lipids and inflammation markers in otherwise sedentary participants. In this study, walking also had mental health benefits – it’s not just about your body. There’s also some evidence that walking can help improve chronic pain, reduce the risk of knee osteoarthritis, and improve motor function and quality of life in multiple sclerosis and cancer patients. It’s true that walking doesn’t burn as many calories as jogging or more intense exercise. But exercise is not helpful for weight loss because it burns calories. The number of calories burned through any kind of exercise is tiny compared to the number burned for normal metabolic functions, and almost nothing compared to what you can eat if you really set your mind to it. “Eat what you want and run it off on the treadmill later” is simply not an effective diet plan no matter what kind of exercise you’re doing, because burning calories is not the reason why exercise helps with weight loss. What exercise does do is improve metabolic health, reduce inflammation, keep your brain happy, and provide other “fringe benefits.” And walking does that just as well as anything else. The one thing walking won’t really do is build muscle; if you want that, you’ll have to do some strength training. But if you’re using walking as a recovery tool, you’re probably already doing that, and if walking is your gateway exercise, the strength-building exercises can wait a month or two (or more, if you need it). Even if you live for intensity, don’t dismiss walking as something you’ll do when you have grandkids and not before. For the heavy lifters and CrossFit fans, walking is a very valuable recovery tool to give you the health benefits of exercise while still giving your joints time to recover and your muscles a rest after a hard workout the previous day. And for exercise beginners, walking is the perfect way to start. It’s a great way to get the hormonal benefits of exercise without running any risk of overuse or injury, it’s available to anyone for free, and you already know how to do it. So if you can’t stand the gym and shrink in horror at the thought of jogging, why not just start with walking? No, it won’t make you look like a fitness model overnight, but neither will anything else, and walking is a whole lot better than nothing at all!